Bucharest, Casa Radio. Author (wikimedia commons). License: all rights reserved. BUCHAREST (Romania), February 11 (SeeNews) - Real estate developer AFI Europe Romania said on Monday it has signed a non-binding letter of intent with Plaza Centers N.V. to take over its entire indirect shareholdings in the Casa Radio project in Bucharest for 60 million euro ($68 million). Subject to the successful completion of the transaction, AFI Europe will become the majority shareholder in the project situated in central Bucharest, with a stake of 75%, AFI Europe Romania said in a press release. The remaining shares are held by Romanian authorities (15%) and third-party investors (10%). AFI Europe will conduct due diligence after which, if satisfactory, a pre-sales agreement will be executed. The definitive sales agreement is subject to the fulfillment of certain conditions. 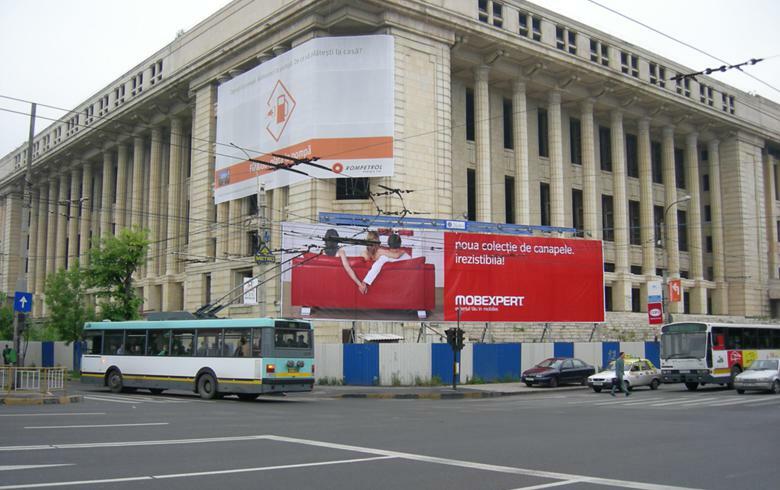 "Casa Radio is a landmark site in Bucharest and is in line with our expansion strategy. Given the very early stages of this acquisition, we will provide updates on the purchase and any further plans as the process advances," AFI Europe Romania CEO Doron Klein said. Last year, AFI Europe Romania purchased 4.3 hectares of land near AFI Cotroceni, where the company will develop a mixed office, residential and retail project. Other major projects currently developed by the company in Romania are AFI Tech Park, a new office complex in central Bucharest, which already delivered its first phase, AFI City, the company’s first residential project in Romania, in the Bucureștii Noi neighborhood in northern Bucharest, and AFI Brașov, a mixed retail and office project. AFI Europe, a subsidiary of AFI Properties, is a leading real estate development, management and investment companies, which has been operating in Central and Eastern Europe since 1997. AFI Europe operates in Romania since 2005. Casa Radio is the most important ongoing project of real estate developer Plaza Centers NV in Romania. It has started the project in 2007 under a public-private partnership agreement with the Romanian government. The property includes a site covering an approximate area of 92,000 sq m, according to information posted on the company's website. Plaza Centers N.V. focuses on building new shopping and entertainment centers and, where there is significant potential, redeveloping existing centres in both capital cities and important regional centers. It has a significant presence across Central and Eastern Europe and operates also in India.